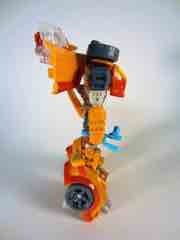 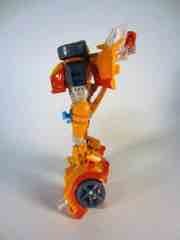 When I first saw pictures of this Wheelie I went from confused to delighted and back again a few times. 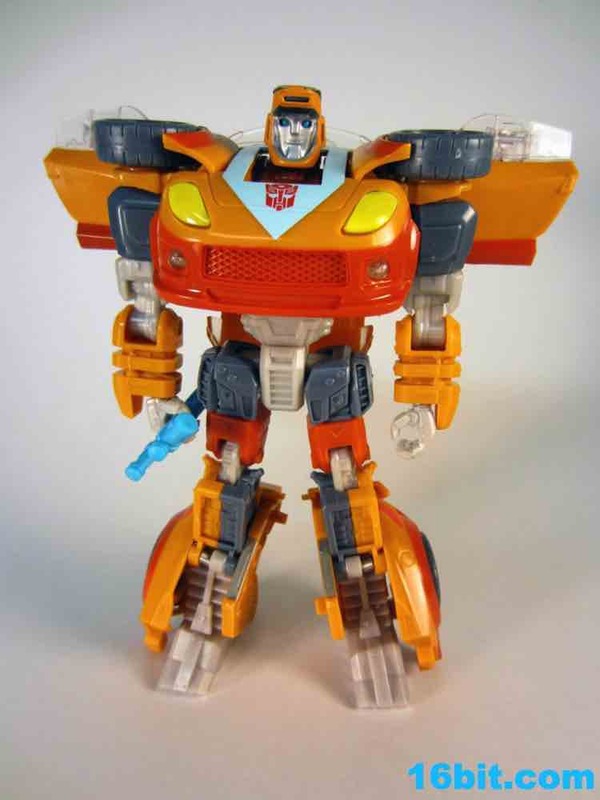 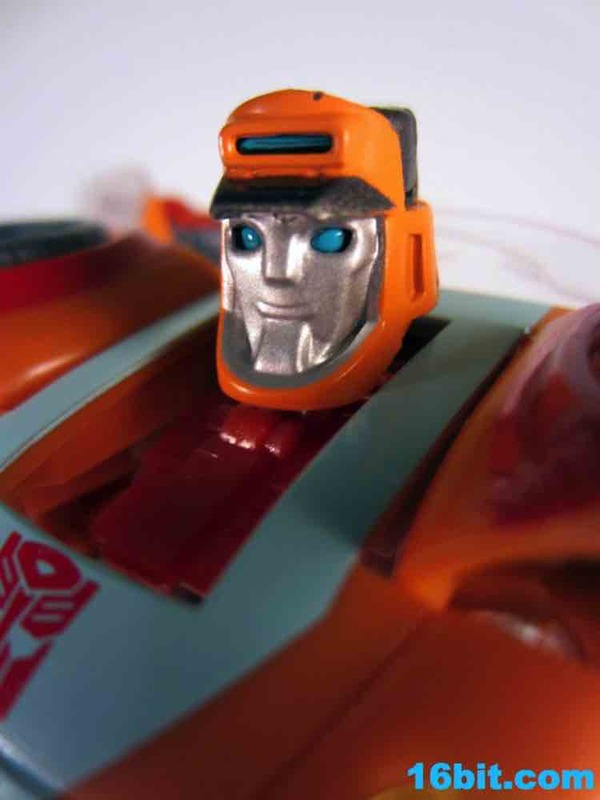 The body had just been released as Jazz (and subsequently a few other figures) so it was a little strange seeing one of the larger recent deluxe Autobot molds done as one of the tiniest Autobots to appear in the original cartoons. 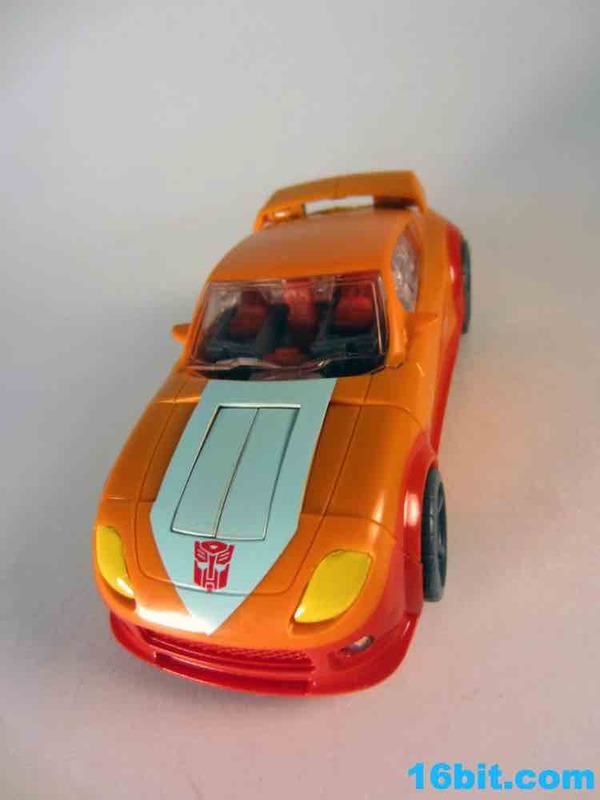 Of course, this is all dispelled pretty quickly since the toy looks great and the character fits with the mold quite nicely. 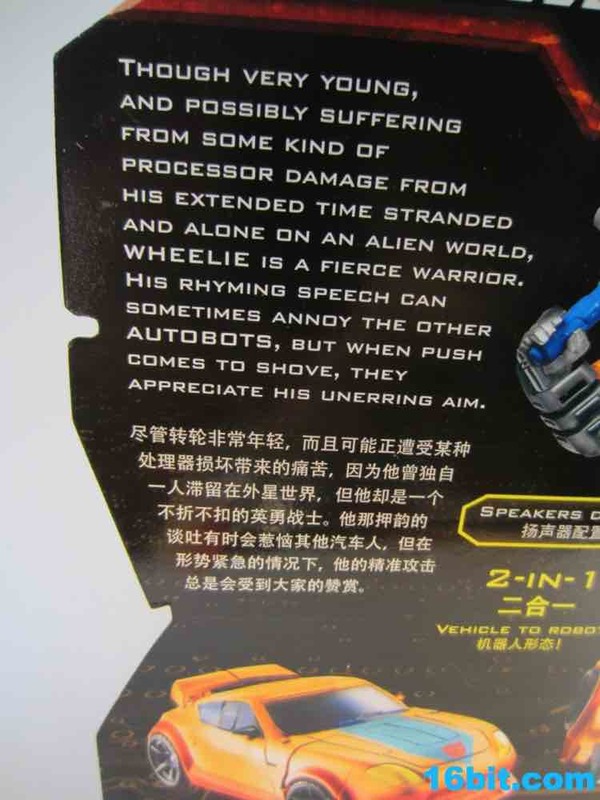 The orange robot has a lot of great highlights, with blue/gray highlights on his chest, a bright blue slingshot which doubles as a gun, clip-on speakers, and tons of articulation. 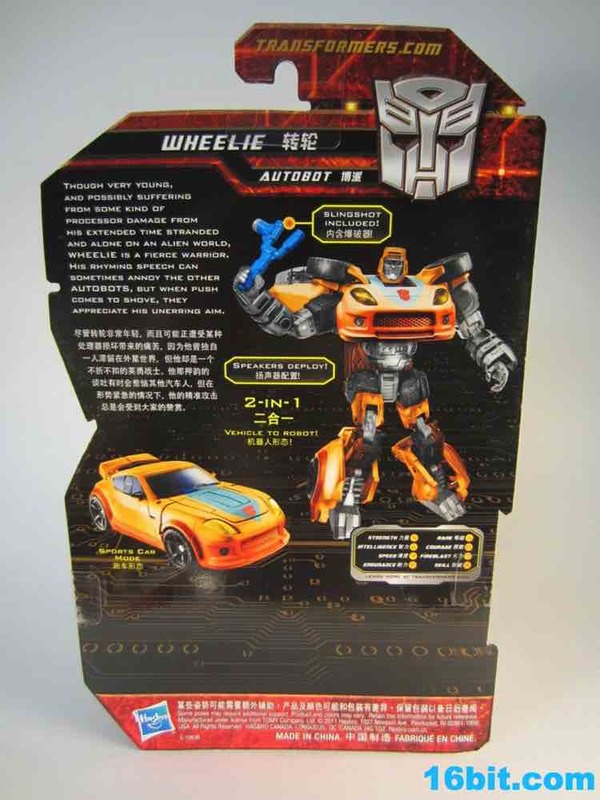 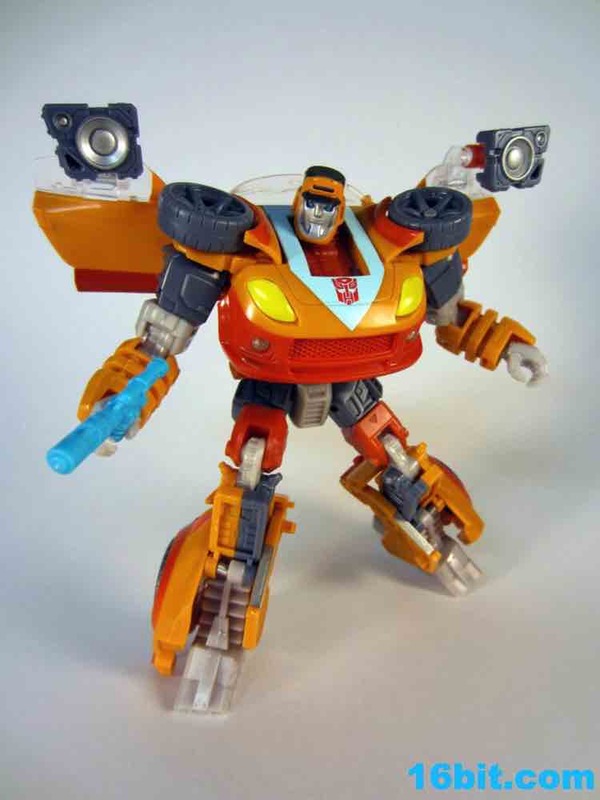 As much as I love Jazz, Wheelie's colors fit the mold so perfectly it's a wonder he wasn't made with this body in mind. 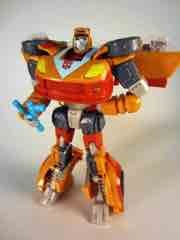 The head fits perfectly on the figure, and it's a good deal taller than the last Legends release in 2009. If you're a sucker for G1 movie-themed toys, this is a good one. 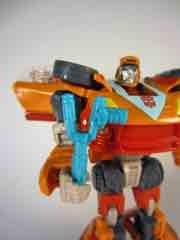 The character better fits the toy than Springer, issues of scale aside of course. The car is on par with other uses of the mold. 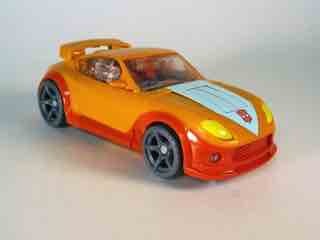 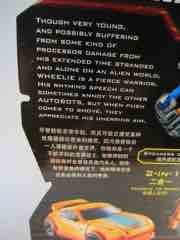 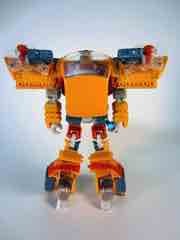 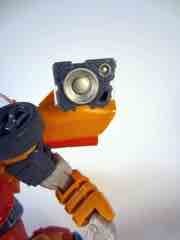 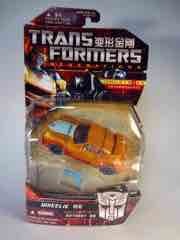 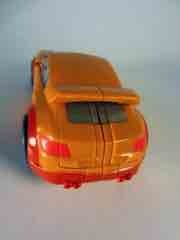 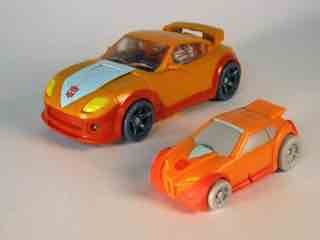 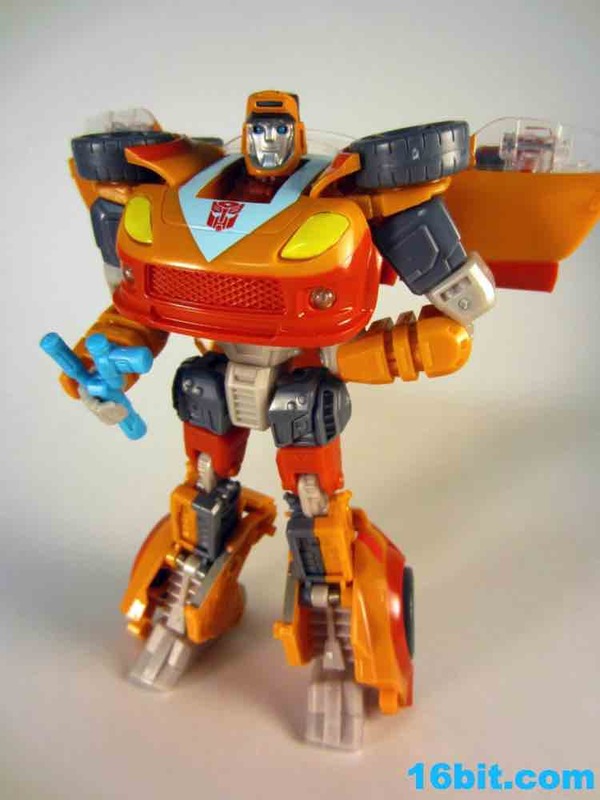 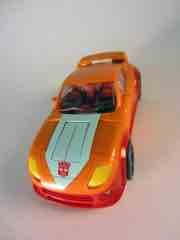 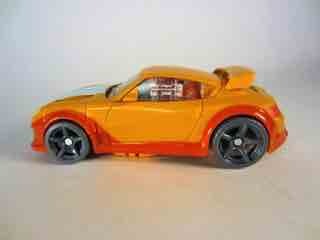 Since the only real changes are the robot mode's head and weapon, it just looks like Jazz in orange. The wheels spin (more or less) and it looks pretty slick. 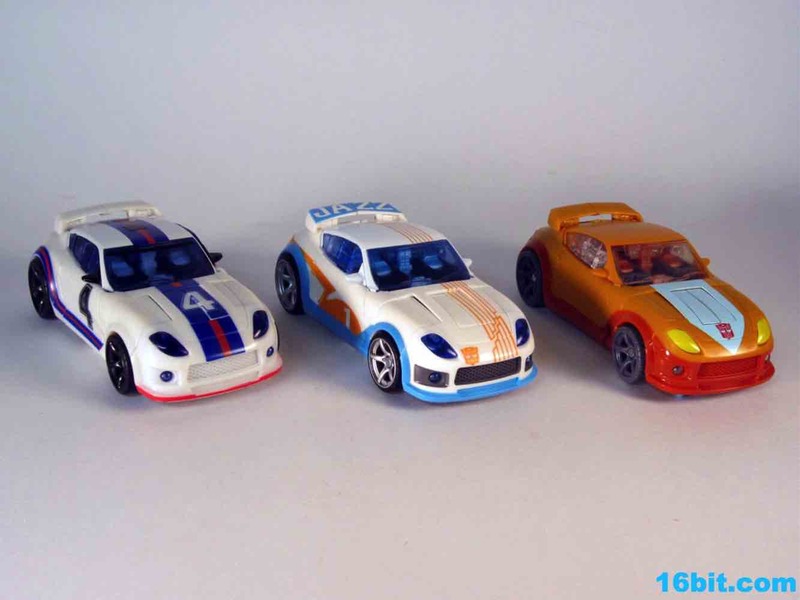 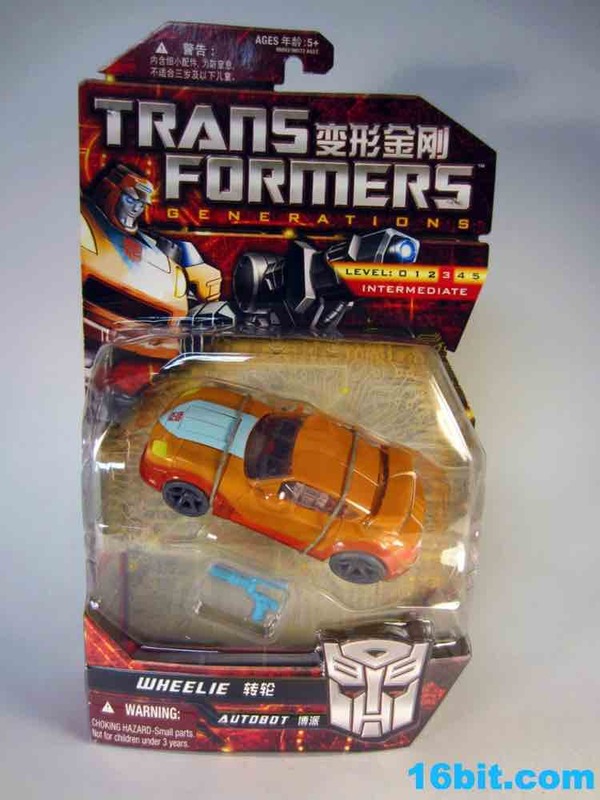 The changing design of Wheelie is pretty nifty in that the futuristic "2005" minibots toy works well as a series of other vehicles, like this sporty car or an older hatchback. 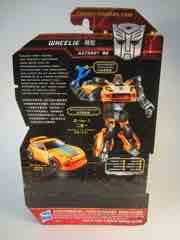 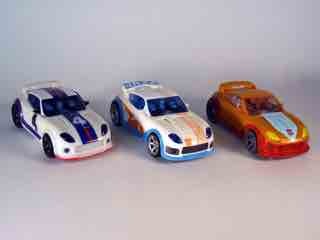 Wheelie seems to get a little better with each new release, and even though it's $15 or so it's worth picking up. 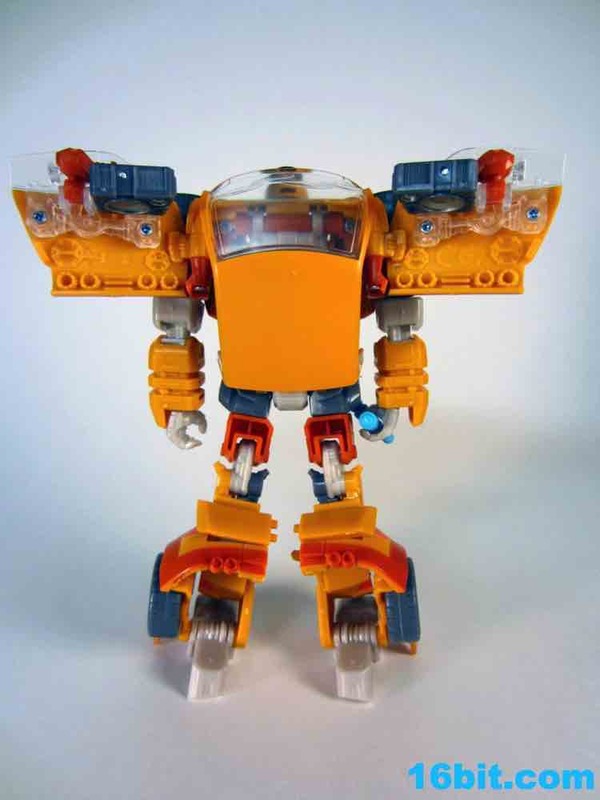 Particularly since the Legends toy is pretty expensive these days. The Legends toy is $15-$30... and at $15 I'd say it's worth it. 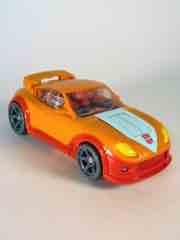 The Deluxe car seen here is more than a deal at $15, so buy it now because you'll be paying more for it later.